Our 18-week Signature Training Program offers programming for walkers to beginning runners to experienced runners. We offer classes with cardiovascular interval training for all levels concluding with strength training, stretching and education. Our Learn to Run program will help you safely build up to your first 5k race. Walkers and experienced runners will be encouraged to follow an interval training schedule designed to maximize your fitness levels. We also offer weekly steady paced cardio classed designed to help build endurance and offer an option to increasing mileage. Click any button below to view additional payment options - pay in advance and save. Prices increase April 1st! Our payment plans divide the cost of registration over a pre-determined set of months with payments starting at the time of registration. Payment plans are not a month-to-month contract that can be cancelled, but rather a commitment to purchase the program in installments. Due to expenses incurred at the beginning of our season, we are unable to offer refunds or cancel upcoming payments for any reason after two weeks prior to the class start date. For more information on our refund policy please see our FAQs. Welcome Melissa! 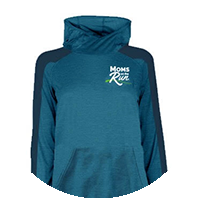 Eden Prairie Moms on the Run is now locally owned and operated as of January 2019. Melissa is so excited to be part of this amazing community of supportive, strong, driven women who are enthusiastic about their fitness. 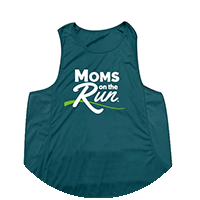 What she loves most about Moms on the Run is that it is for everyone, no matter your fitness level. Starting a fitness journey can be intimidating, but there is no better place to start than with Moms on the Run! Melissa began to run occasionally in 2014, and since then she has discovered that running and fitness are her “happy place.” She now runs 15-20 miles a week! Melissa is married and a mother to 4 girls. When she's not taking care of her family, working or running, you can usually find her volunteering at one of her kids’ schools. She also enjoys reading, cooking, movies, travel, board games and spending time with her family. Patty has been running since 2015. After years of trying and failing with solo running programs, she came to a trial run with the Eden Prairie Moms on the Run group. She instantly knew she had found her place. She signed up for the spring session that day. In the beginning, she couldn't run more than two minutes, but in 6 short months she ran a half marathon! 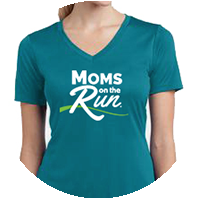 Since joining Moms on the Run she has run several 5ks, 10ks, one 10 miler and one half marathon. Patty says she has learned that you don’t have to be ultra fit, or “look” like a runner, or be fast to be a runner. You don’t even have to run the entire time... you just have to show up and put one foot in front of the other. Moms on the Run was exactly what she needed to realize her goal of becoming a runner and she is so thankful for the program and the friends she has made.